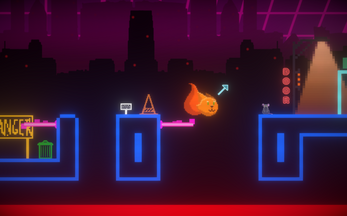 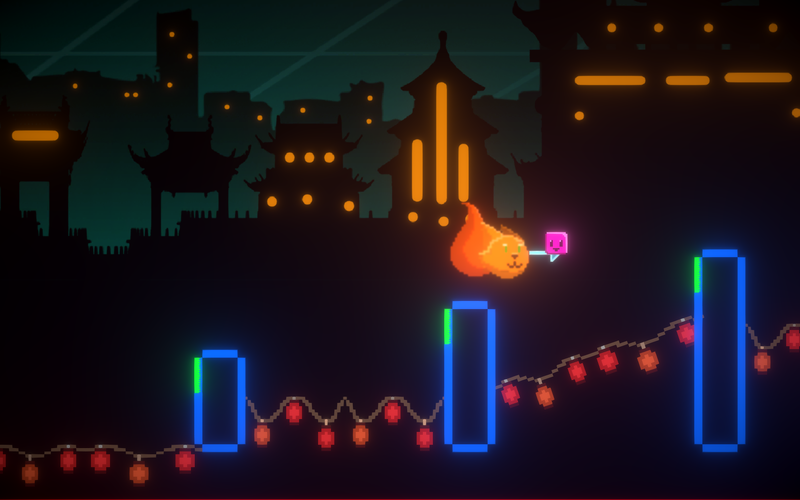 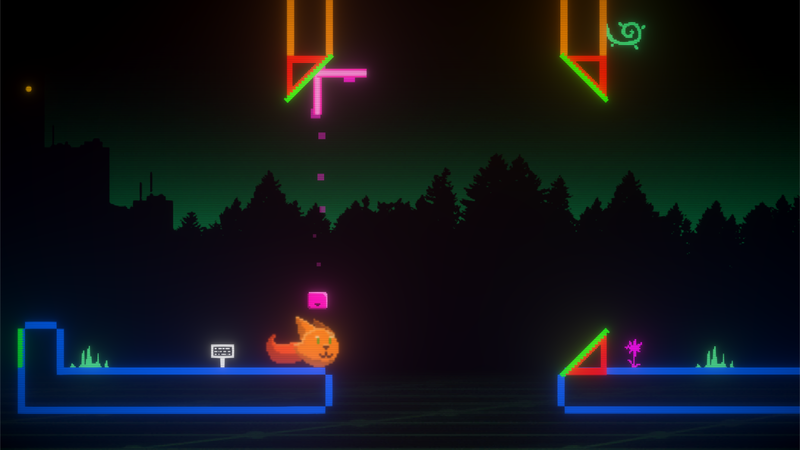 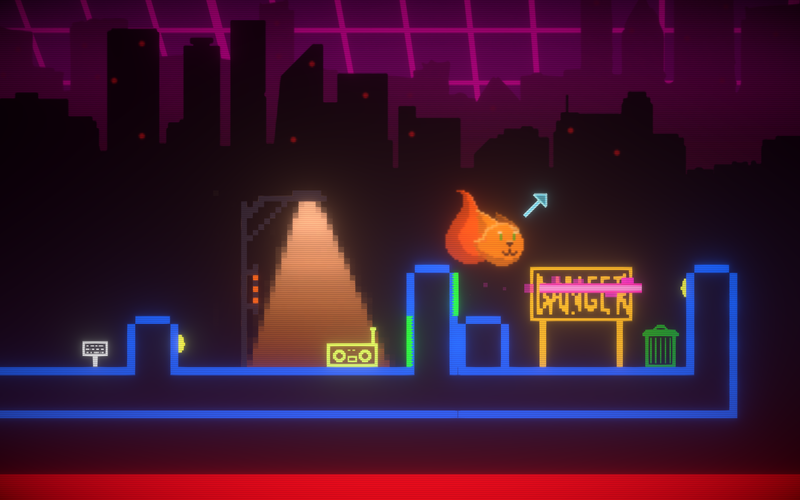 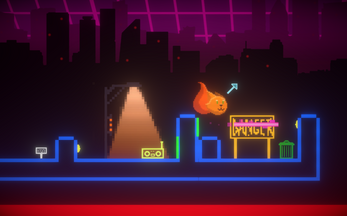 A platformer where you create your own platforms and play as a cute little fox trying to escape the neon city and make new friends along the way that can help you by-pass the obstacles that are thrown in-front of you. 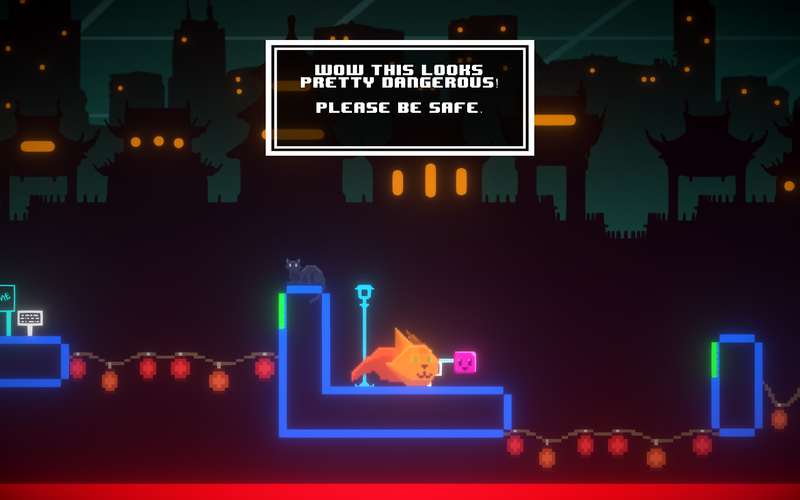 If you could take some time to fill out this Feedback sheet it would be super helpful for us! "Broken Reality", "Exit the Premises", "Furious Freak", "Ouroboros"
Cool unique platforming mechanic is sweet as and I really like the neon eighties vibes in this platformer.